Gerard William Gibbs, born November 16th 1967, has been a lover of Jazz ever since his father introduced him at the tender age of three to the music of the late Jazz organist, Richard “Groove” Holmes. At age seven, when he later had the opportunity to meet Holmes, Gerard grew to idolize Holmes. He knew then that one day, he would play Jazz just like his idol. Gerard Gibbs, born and raised in Detroit, Michigan, is a product of the Detroit Public Schools. He began his musical training in classical Piano at the age of nine. Although he took to this musical style fairly quickly, his interest in performing Jazz never waned. In the summer of 1981, while recovering at home from corrective leg surgery, Gerard received a surprise visit from “Groove” Holmes. Holmes took an immediate interest in Gerard and began to show him all the “tricks of the trade.” Until Holmes’ death in 1991, Gerard had the kind of friendship and mentoring relationship with this international jazz organist that others can only dream about. In 1996, Gerard was again fortunate. He met another jazz organist, Jimmy Smith. He was introduced to Smith while attending his concert at the Bluebird Inn in Detroit. Smith took a liking to Gerard as well, and began to show his some of his techniques. Since that time Gerard’s friendship with Jimmy Smith has proven to be of great value. Gerard also has had opportunities to rub shoulders with jazz organists Joey DeFrancesco, Jimmy McGriff, and the late Jack McDuff. In September of 1999, Gerard had the opportunity to jam with the “Mighty Burner”, the late Charles Earland. All of these encounters have contributed to Gerard’s development as a versatile musical artist skilled beyond his years. Currently, Gerard performs nationally on the concert circuit with saxmen Marion Meadows, Ronnie Laws and James Carter. He also lends his talents to the hot contemporary jazz group: Pieces Of a Dream. While at home in Detroit, Gibbs remains busy as he works as an Architectural Engineer for the City of Detroit by day and leads two jazz bands at night and on weekends. 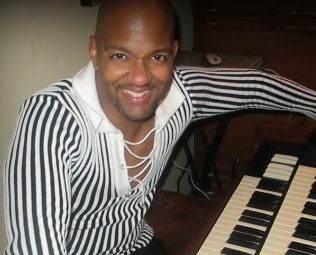 He plays keyboards in his contemporary jazz group, RYZ (pronounced “Rise”) and organ for Gerard Gibbs & ORGANized Crime. Gerard recently completed his debut CD with his organ trio in commemoration to his first mentor, the late Richard “Groove” Holmes.